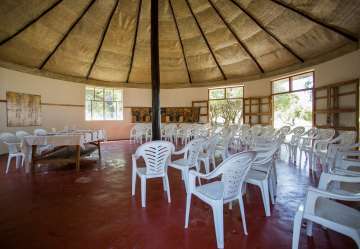 After you’ve arrived at the Hara Langano Eco Lodge you won’t want to leave, and you won’t need to with our facilities and diverse activities. Our friendly, English speaking staff will welcome you and look after you throughout your stay. The holiday lodge is a self-contained retreat where you can enjoy fine food and drinks, observe the abundant local wildlife or participate in more physical activities like kayaking or hiking. 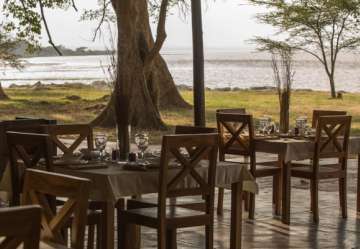 Set back from the shore, with a commanding view over the lake, stands our restaurant. Whether you want to sample local delicacies such as firfir, doro wat or tibs, or if you prefer something more European all our food is cooked from fresh, local ingredients. The freshness of our ingredients is so important to us we are supporting local farmers to ensure they can meet our needs. Our fish comes straight from the lake; you can even try your hand at fishing its abundant waters and have your catch expertly prepared. The lodge has been thoughtfully landscaped so that it blends into the natural environment. The grounds are a haven for many of Ethiopia’s native flora and fauna, you won’t need to leave your room’s private surroundings to witness the endemic birdlife. Recently we have returned a portion of the lakeshore to its former condition to attract the local hippo population, and it’s been a resounding success. Given its location the lodge serves as a base for numerous activities in the surrounding area. We have the only Boston Whaler and sea going ribs in the country, and they’re available to our guests to take to the waters for wildlife spotting or fishing. Our expert guides will be able to introduce you to the local people, wildlife and birdlife on short excursions. We can also arrange for longer trips to visit the nearby reserves and national parks such as Bale Mountain NP. 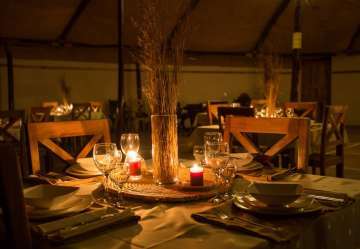 For those who want take some time out and relax, Hara Langano lodge is the perfect place for you. We have a range of spa treatments including massage.We also have a library with board games to help you while away the time.